We are excited to introduce our new Veterinarian, Dr. Courtney Johnson and new Groomer Heidi Spano! Please help us welcome them to our practice! Your best friend will enjoy a relaxing vacation at "Camp Paws" boarding facility. Our resort offers spacious, indoor, climate controlled runs and cat condos kept meticulously clean and fresh by our caring kennel technicians, and staff. Your pet will eat a premium nutritious diet, sleep on a snugly blanket, and enjoy relaxing music. Tender Loving Care packages are available by request. Our TLC includes: extra walks, play time, brushing and treats. Please allow 20 minutes for check-in and check-out with our trained Kennel Technicians. 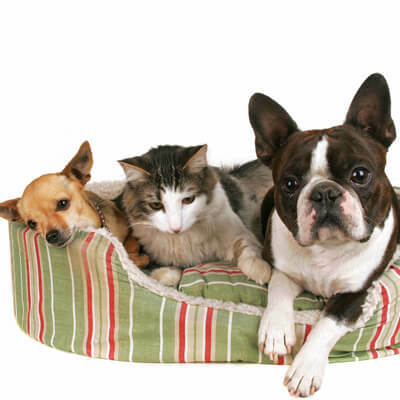 You will complete a boarding registration form so that we can get proper instructions on caring for your companion. All pets must have proof of current vaccinations and be free of intestinal and external parasites. Please contact us for more information about a vacation for your pet!